Win a family four-pack for New England Aquarium admission! Share your family's mischievous moments with us on our Facebook app by Friday, August 31, at noon. That's when we'll choose our favorite to win. WHAT: Win four passes to the Aquarium by sharing your most mischievous childhood stories! WHY: Because Zoe and Sierra want to know! This summer, the prime mischief makers at the New England Aquarium have enjoyed some face time on billboards, lamp posts and taxi cabs around Boston. 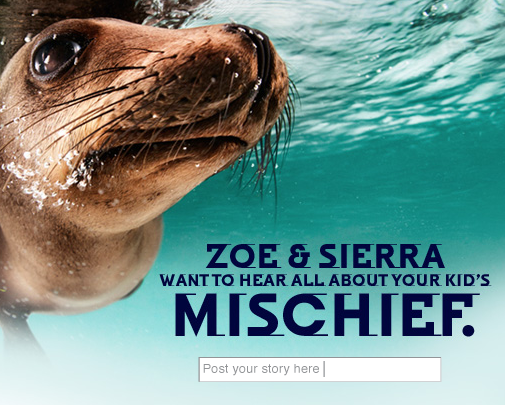 Zoe and Sierra most definitely deserve the mischief label. Just ask any of the trainers at the New Balance Foundation Marine Mammal Center, who have been on the losing end of a game of keep-away as the sea lions playfully toss a trainer's keys around the exhibit. Or how about their penchant for garden hoses, which they drag around the exhibit. But who says the sea lions are the only ones who can have mischievous fun. We're pretty sure that you guys have some great stories of pranks and naughty merriment, too. So listen up, tricksters, we want to hear about your family's shenanigans now. Share stories of childhood mischief with us through our special mischief Facebook app by Friday at noon and you could win four passes to the Aquarium! 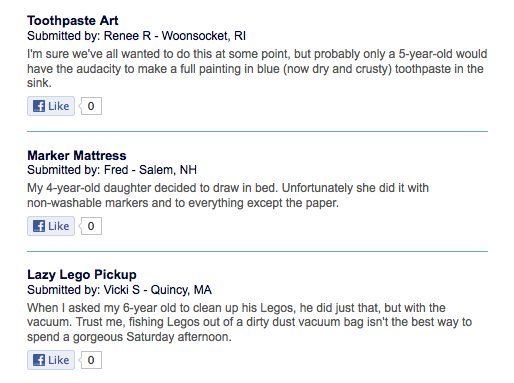 We'll select our favorite and contact you via Facebook messaging so make sure that feature is turned on. Here's what other people are saying about mischief at their house. Can you top these? We can't wait to hear your stories. Good luck! My cousins & I at my birthday party when I was young collected a jar of fireflies & let them out in my mothers house. She was so mad!